Creative breakfasts are the best, especially when they are so simple to make. 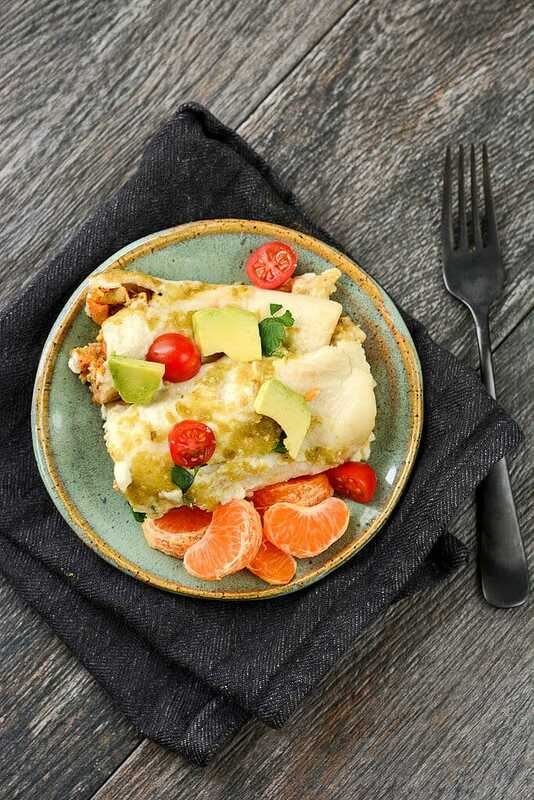 Slow Cooker Breakfast Enchiladas will leave you and your guests impressed. 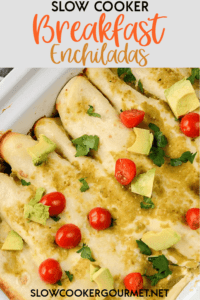 As much as I love just about any kind of enchiladas I can dream up, I can’t believe I’ve never dreamed about or better yet tried breakfast enchiladas! I finally saw a photo of some of these delicious creations on Pinterest and I decided I must give them a try! 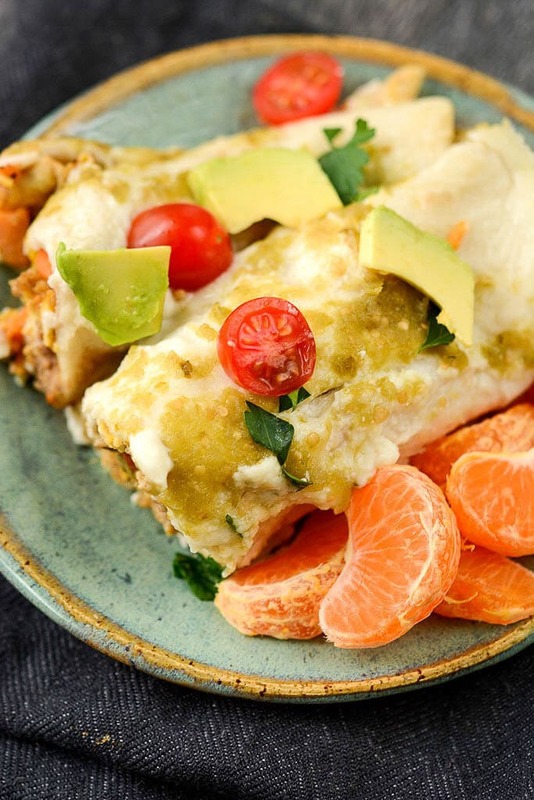 And what better way to make a big pan of enchiladas than to make them in the slow cooker?! 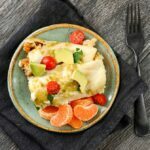 This is perfect for popping in the slow cooker early in the morning when you have company, making on a lazy Sunday morning, cooking up ahead for breakfast for the week or even making breakfast for dinner. The main flavor to consider when making these is the sausage. What kind of sausage do you like? You could use a spicy pork sausage if that’s your thing, but I prefer something much more mild. I love chicken and turkey sausage and since the former is hard to find I went with turkey sausage. A bag of frozen sweet potatoes adds substance plus packs plenty of extra nutrition. Finally, and not to be forgotten, is plenty of scrambled eggs. 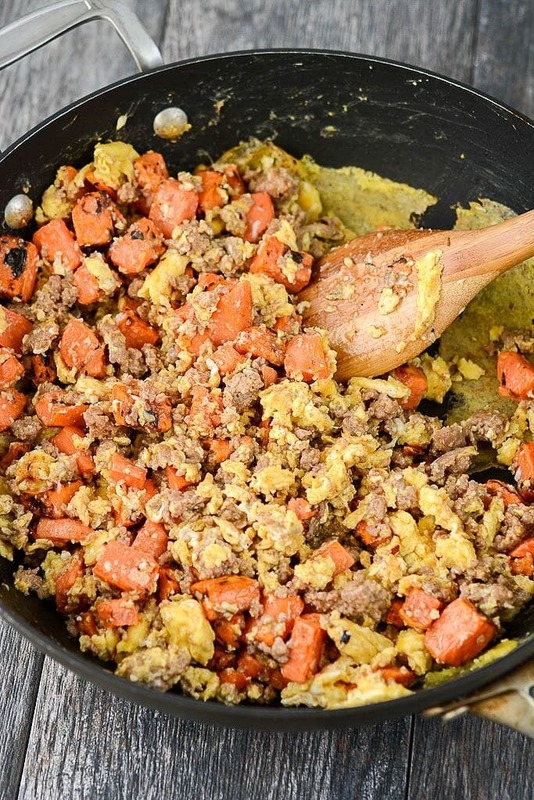 All done up in one skillet to make it easy! Make this part up ahead and you can throw breakfast together in no time. 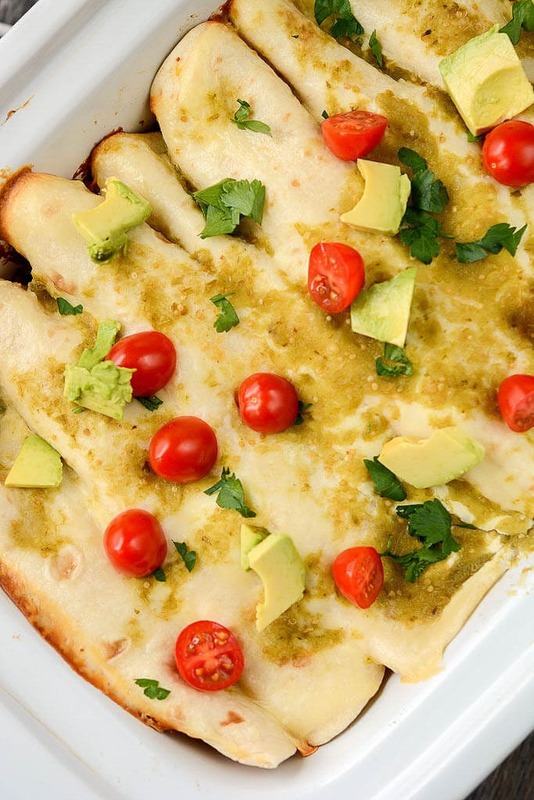 I’m not going to lie, probably my favorite part about these enchiladas is the cheese sauce. 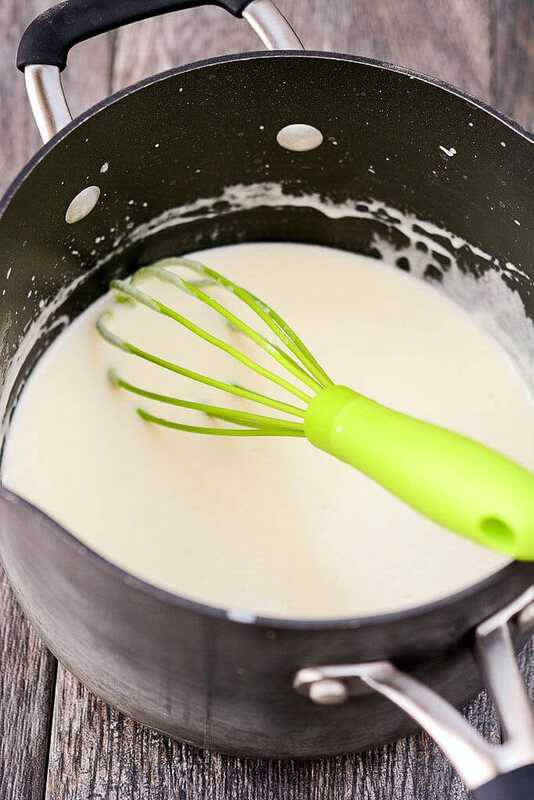 I can’t believe in all my life I never knew how easy it was to whip up a homemade cheese sauce, but I must say in the last couple of years my life has been changed by this discovery. There are so many breakfast, lunch, dinner and snacks that are made so much better with cheese! 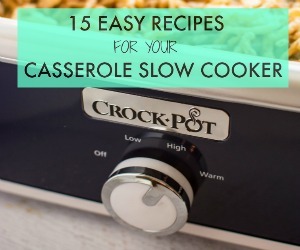 I cooked these all up in my casserole slow cooker which is perfect for these types of recipes. 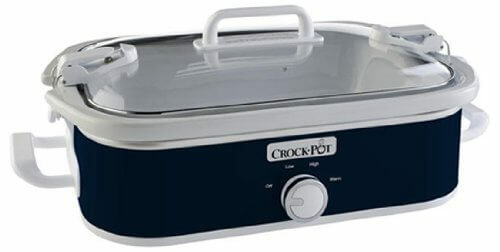 They are fairly inexpensive so if you like easy casserole options I highly recommend getting one of these for your line-up. 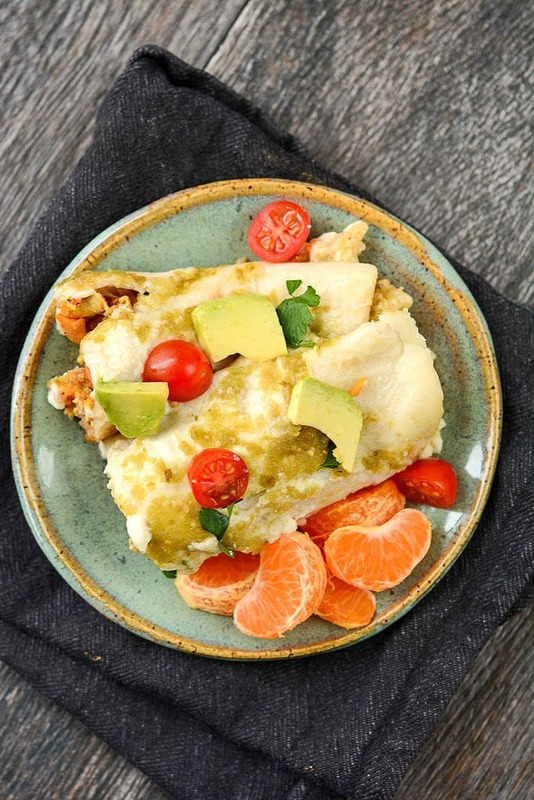 If you don’t have one, you can still make this dish, but I’d probably go for more of a layered option than individually rolled enchiladas. 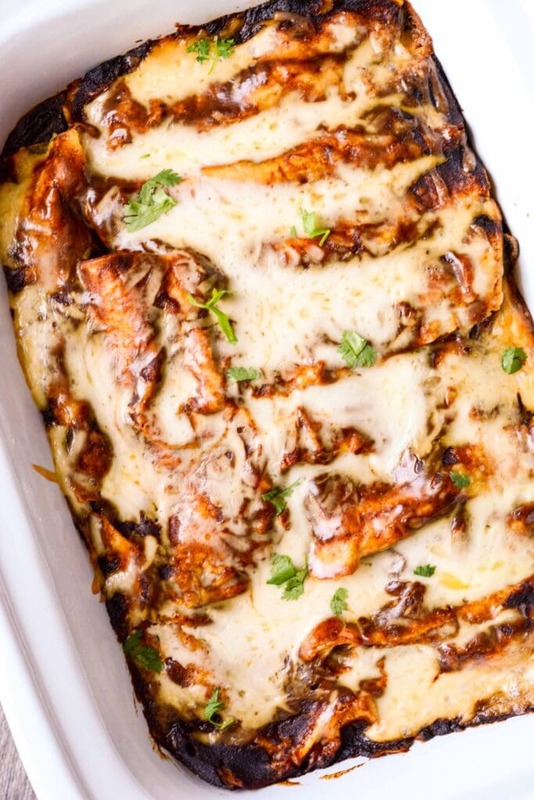 The casserole slow cooker is perfect for slow cooking enchiladas or other favorite casserole recipes!! Looks relish! Can you clarify which steps you can tackle the night before? Hi Laura! Thanks! You can cook up the potato, egg and sausage mixture the night before. You could actually make the cheese up ahead of time too, but may need to heat it a bit to pour it the next day.